I can't believe that I baked over the weekend, after all that baking during the week. Nonetheless, it was a delicious cake. The cake base was the lemon cake that we made in school sometime a few weeks ago... the cakes and tarts and cookies and bread and... are all becoming a blur to me. 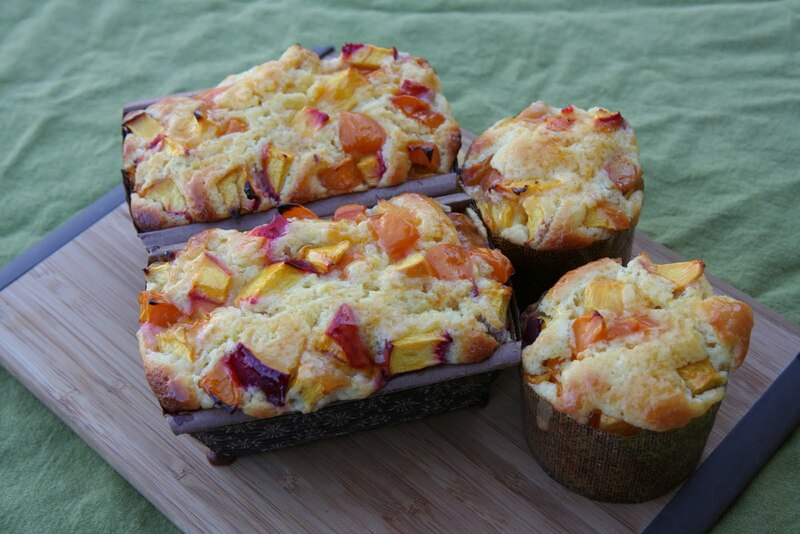 I added stone fruits to the lemon cake to give it an extra summery flavour. I liked it a lot.